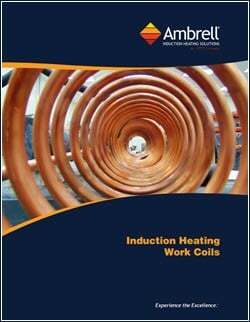 We have collected many application notes from THE LAB at Ambrell about how to use induction to heat or preheat wire, tubing, and other materials made of copper, steel, aluminum, and titanium. Your process heating challenge might have already been solved by our expert application engineers! Advanced induction heating is ideal for your process, combining the precision, control, economics, and safety inherent in the technology. 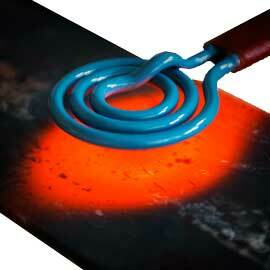 When induction heating electrically-conductive materials, such as titanium, steel, or aluminum, energy is focused only where you need it. You don't need a torch or a costly batch, furnace or other conduction process. Heat all your materials in a repeatable, precise flameless process. Contact us today to discuss your application and take advantage of free application testing from THE LAB at Ambrell. 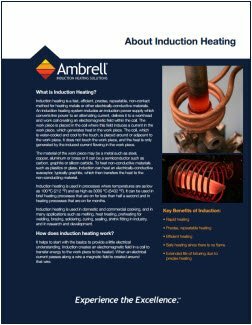 Click to read how advanced induction heating can improve the efficiency, effectiveness and safety of your heating process.